Whether you need to install a new air conditioner or repair an old one, you can rely on Air Conditioning Excellence, Inc., an AC Repair service Delray Beach FL that offers all types of commercial and residential air conditioning services, including new air conditioning installation, repairs, re-gassing, ducted air conditioning installation and repair, and commercial air conditioning maintenance. There are a number of air conditioning companies in Delray Beach; however, what makes us stand out is our team of experienced, expert, and trained technicians. Only expert people can offer reliable services; therefore, we choose our team members after thoroughly reviewing their background and skills. Our HVAC guys are capable of handling all types of air conditioning repairs, installation, maintenance and servicing needs. By contracting our services, you can be rest assured that licensed and insured professionals will take care of your residential and commercial air conditioners. Whether you need to install a split system, ducted system, or central air conditioning, we're always here to offer you the best-in-class services. Air Conditioning Installation Delray Beach Fl. There are lots of different AC brands and manufacturers on the market. Choosing the right one is an important but also difficult decision. Fortunately, you don't have to go it alone. Air Conditioning Excellence, Inc. is here to help you with our wide and extensive HVAC knowledge! We know everything about air conditioners and can help you choose a unit that perfectly suits your needs. We provide air conditioning systems for commercial and residential properties throughout Delray Beach Fl. We only use quality, reputable products from leading manufacturers like Lennox, Trane, York, Carrier, Rheem, Bryant, American Standard, Amana, Westinghouse, Ruud, Day and Night, Samsung, Daikin, Panasonic, Mitsubishi, Fujitsu, and many more. All our technicians are well-trained, certified and up-to-date with the latest technologies. We're more than able to carry out even the toughest installations. We guarantee speed, quality, and efficiency throughout the installation process. We also offer 12 months warranty on all our installation services. AC Repair Service Delray Beach Fl. We also offer your air conditioning repair services in South Florida. If your air conditioning system breaks down, you get access to professional, rapid repair service delivered by our qualified and expert technicians. We'll get you cool air back up-and-running in no-time! We pride ourselves on arriving quickly and fixing the problem efficiently. No fuss, no complications! Air Conditioning Maintenance Delray Beach Fl. Most AC breakdowns are avoidable with regular, proper maintenance. Our maintenance services will keep your equipment in excellent condition and will add to the life expectancy of your unit. Don't worry if another AC Repair Service Delray Beach FL contractor installed your air conditioning. We can perform maintenance even if we weren't the installers! 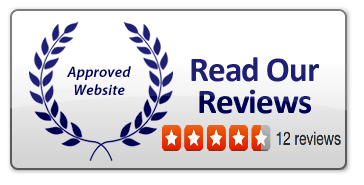 Air Conditioning Excellence, Inc. is recognized as the leader in the air conditioning industry. No job is too small or too big for us. We provide you with a 100 % satisfaction guarantee so that you can have peace of mind that the job will be done right. With competitive pricing, we ensure that you pay lowest possible price for air conditioning services in Delray Beach, Florida. With over 29 years of experience in the air conditioning industry, we provide excellent customer service to all our clients. We have a dedicated team of technicians and customer support staff and we are always there when you need us. Emergency HVAC service in Delray Beach Fl. Air Conditioning Excellence Inc., responsibility to the customer never diminishes and we do all that we can by offering 24/7 professional assistance, emergency services and maintenance packages to enhance your comfort. This is the baseline of our business and we can say it with pride that we have been able to meet the demands comfortably. We are one of the top Air Conditioning contractors in Broward County and serve different cities, including Hallandale Beach, and ensure that homes have quality indoor air. However, this is only possible when the heating and cooling units work effectively. Reduce utility bills: With regular cleaning and timely AC and furnace repair, we can assure that our AC maintenance will considerably reduce the power bills. Our technicians calibrate your system such that it operates on maximum efficiency, enhancing the cooling or heating as per season. Air Conditioning Excellence, Inc., proudly provides exemplary NATE certification Technicians, an accreditation that acknowledges the superior skill and training of technicians of the HVAC industry. Our staff is vigilant and ensures all problems are diagnosed and repaired quickly. When you sign up for the annual maintenance program, you invest in the health and comfort of your family while prolonging the life of your HVAC system. Call us now at (954) 368-0655 and get more information or schedule an appointment for our AC Repair Service Delray Beach FL today! 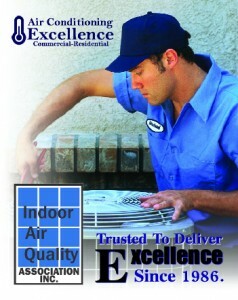 Air Conditioning Excellence Delray Beach Inc.